Brock Van Wey has featured on the thisisnotanexit blog before for a previous release on Millions Of Moments of which I spoke about the depth of emotion BV Dub brings to his music. He himself calls his music "sadness, idealistic, daydreams, regret, thought, hope, life". Indeed his music is the type that won't have the hands in the air and the masses screaming for one more. This is music with heart and soul. The stuff you save for staring out of the window on a train journey, on the night bus home, over a coffee on your own as it rains outside...you know what I mean. Anyways this was released on 100 x 3" cds and sold out within about 5 seconds. Due to the gushing praise for the release (and by god it is an amazing 20 minute journey) Smallfish have pressed some more. Go get. 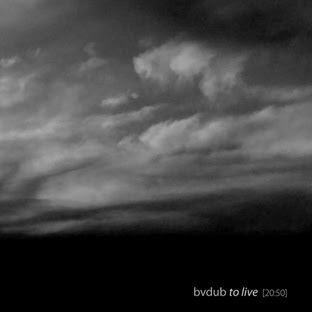 It's like £5.99 and your music money should be for people like BV Dub and not to those careerists on the majors. You can also download a whole load of BV Dub mixes from his website. All worth checking.There's 10 of them so that's about 10 hours of free music. Get to it. And some kind soul has uploaded the 2 parts of 'To Live' to Youtube if you want to experience it before you buy. Next week I'm going to Optimo for the first proper time (I'm not counting the time I DJed there as that's not really 'going to optimo'). Anyways I cannot wait to experience the full optimo effect in the subbie. 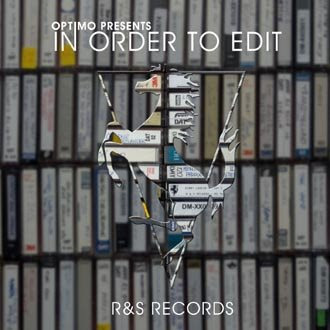 As you all know I'm such an Optimo obsessive Twitch and Wilkes could fart over a drum loop and I'd probably buy it. Probably. Anyways this is the new selection from JD Twitch who got access to the full R&S catalogue and put together a special mix cd. It's bloody brilliant. Go and buy it and dance round your bedroom to this. It beats most techno being produced these days that's for sure. Speaking of techno go and buy this. Just do it. It's by Gavin Russom one half of Black Leotard Front (remember Casual Friday?) and it's just absolutely immense. DFA have been really clever and put all the tracks together in shortened form on a cd and all the extended versions on 12"s so if like me you love this stuff you'll buy both the cd AND the 12" for the extended mixes. Massive trippy speaker blowing house music. Do it do it do it. And check his mix of German band Palms too. Like wow. The man builds his own synths for christsakes! None of this 'i'll get my ableton soft synth out' he's a bloody genius. Yep. 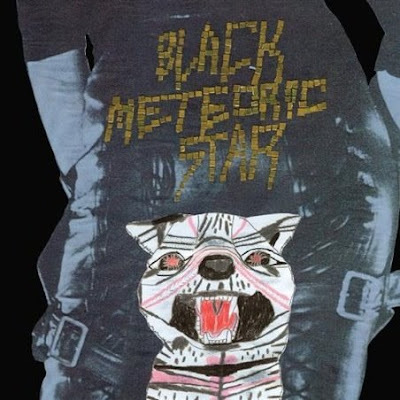 And Mr. Black Meteoric Star will again be the purchase of the week. And the week after too when the final of the three 12"s gets released! This weekend I am back in my home town of York. Upon my arrival my parents gave me a load of records they had managed to save from being thrown in the bin. I was unsure of what might be in there and the quality but I got VERY VERY lucky!! U2 - 3D Dance Mixes Promo 12"
The Sisters Of Mercy - Body And Soul 12"
The Sisters Of Mercy - Alice 12"
All in exceptional condition. They'd been kept in a shed so the sleeves are a little worn but the records look hardly played. Awesome! Finally here's a little treat for you. Here's the acoustic version of The Flowers That Fell that Sebastien recorded for the Diesel Radio Show I did a couple of weeks ago. Enjoy. 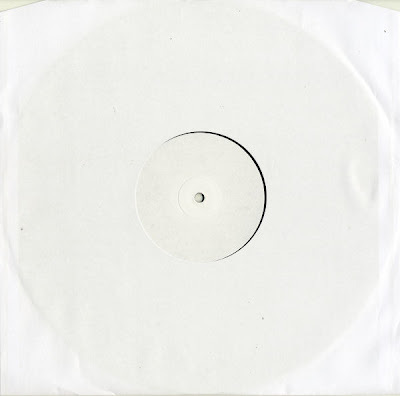 On Monday 22nd June the remixes of Detachments The Flowers That Fell will be released on a very limited white label 12". Only 200 copies have been pressed. It features Capracara (fresh from his King Of Witches release on DFA), Parallels (fresh from their debut release on Thisisnotanexit Records! And remixing Sally Shapiro and Delphic at the moment), Thee Four Horsemen and The Max Moreau Quartet. If you would like to buy a copy head to the shops on Monday - or we have 5 copies here at the label store for sale. Just drop us a note if you want one - they are £5.99 each. There are none left at the warehouse so once they're gone they're gone! I'll be back over the weekend with a full 4 week catch up of the essential purchase. A bumper feast of records and cds you should have bought. I'm off to spend 2 hours on a train with my laptop trying to finish a new mix. I hope the train has plug sockets otherwise I'm going to be VERY unhappy. Thisisnotanexit Radio Show 6th June 2009 Hosted by Simon A. Carr on DieselUMusic Radio. You can download the full 2 hour show from Divshare here and relive the glory! Or if you missed it listen for the first time. Here's the tracklisting from Saturday's radio show on Diesel U Music. All on Thisisnotanexit Records (bar two!). I'll post the link up to download the show as soon as I have it (hopefully later this week). This Saturday 6th June Thisisnotanexit Records will be taking over the airwaves on Diesel Radio from 1400 - 1600 GMT. We've got Detachments coming in to play a couple of acoustic tracks from their debut album, George from Spectral Empire playing some newly finished Spectral Empire jams plus myself Simon A. Carr will be spinning a whole load of new Thisisnotanexit material featuring....deep breath...Naum Gabo, Night Plane, Andrew Weatherall, DFA's Tim Goldsworthy, Sankt Goran, Salem, King Of Town, The Dark Esquire, Hatchback, Faze Action....plus some new stuff I'm just generally liking from some like minded independent pioneers....Black Meteoric Star, Factory Floor, Cold Pumas, Optimo Music.....and whatever else I feel like playing. Plus some chat.